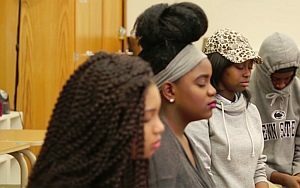 Meditation in Public Schools: Pro or Con? Mindfulness can help students – and teachers – to be calm in the classroom. Here, we watch one video explaining the ins and outs of meditation in class. Adults discuss the benefits and pitfalls while students navigate stress and negative thoughts. Plus: Explore three ways to bring mindfulness to the classroom.